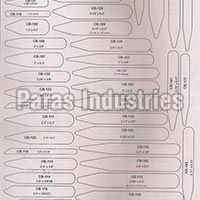 Established in 1980, Paras Industries is currently being managed under the leadership of Mr. Haresh Jain, the Managing Director of our company. Located in Chennai, Tamil Nadu, we manufacture and supply a wide range of Embellishments for the entire Indian apparel market. 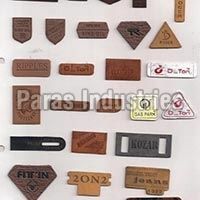 Serving from last 31 years, Paras Industries has gained a status of a reputed Manufacturer and Supplier of Garment Buttons, Brass Eye Hook, Collar Stays, Leather Patch Labels, Plastic Eyelet, PVC Patti and many more products. Our products are manufactured using premium quality raw material which is obtained from certified vendors. Our range is available in attractive designs which enhance the grace and the charm of the apparel. With the use of the state-of-the-art technologies and a vigilant eye on the prevailing fashion scenario, we supply our products in various colors, sizes, designs and patterns. Moreover, with an aim to touch all the nooks and corners of Indian apparel market, we ensure utmost client satisfaction. 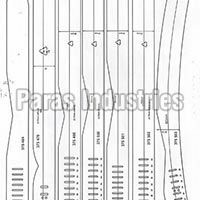 Following the specifications of the client, we also supply a customized range without compromising on the quality of the products.